Aymara is the result of the love story between a Belgian engineer, Sven Van Gucht, who met Yannina Esquivias, a Peruvian travel agent, during a sabbatical year and fell in love. 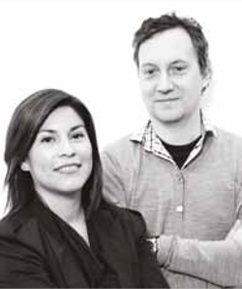 Yannina and Sven quit their jobs and started a knitting factory in Peru together with Yannina's family. In 2007, the knitwear label Aymara was born.